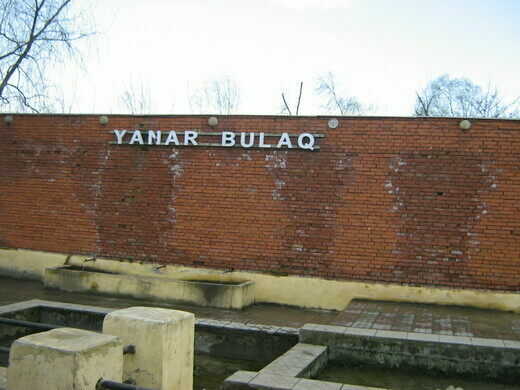 The fire spring Yanar Bulag (which literally translates to “burning spring”), close to the city of Astara in southern Azerbaijan, is an unusual spring which fascinatingly combines the two elements fire and water. Complete town of 5,000 living out at sea on the world's first offshore oil platform. The phenomenon starts simply enough. Water comes gurgling from a metal stand-pipe inside a small pavilion, not looking particularly unusual. 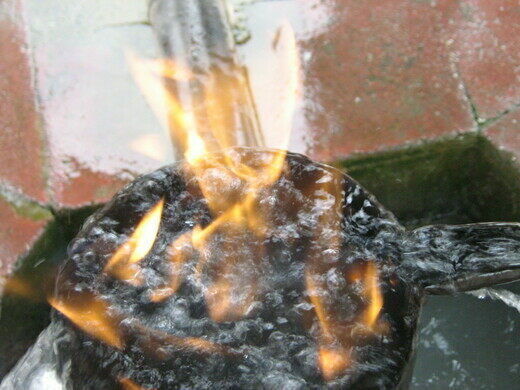 But when a lighter or another ignition source is touched to the water, the liquid itself will be set ablaze. This unique and entertaining property of the water is due to its uniquely high methane content.. Despite the methane in the water, water from the spring is said by locals to have remedial properties. People come from all over the region to collect water from the spring. Similarly, for tourists it has become almost a rite of passage to take a mouthful of the water while the top of the pipe is being set ablaze. 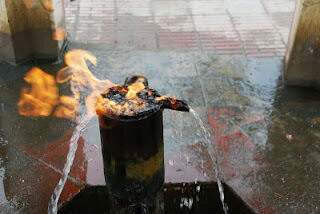 The fire spring is but one of many weird sites in Azerbaijan that can be attributed to the country’s high gas and oil reserves. 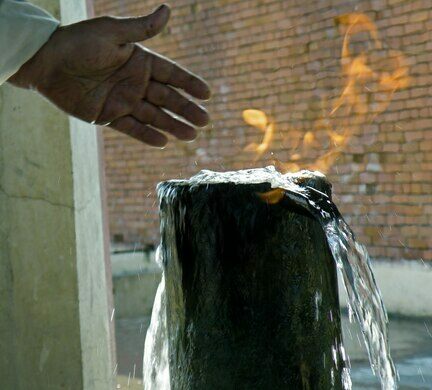 Aside from being a quirky attraction, the fire spring also evokes the spririt of Zoroastrianism, a religion in which fire and water are considered agents of ritual purity. Today, Zoroastrianism no longer exists in the country, but it was in this region that the religion was founded 2,000 years ago. Perhaps this is not surprising, considering these unusual and fascinating local phenomena.